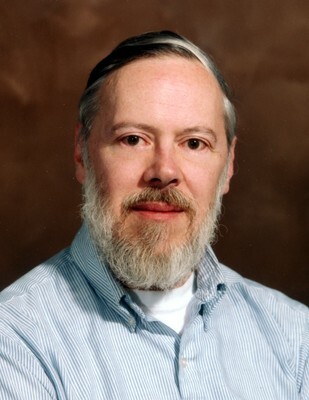 In respectful memory of Dennis Ritchie, the true giant whose shoulders we have been standing on, for decades. Summarizing chapters as bullet points from the epic "C Programming Language" book. Good for anyone who wants to do a refresher on the C language, they dearly knew very well. Or to do a quick interview prep. %.0f suppresses the printing of the decimal point and the fraction part, which is zero. In C,a text stream is a sequence of characters divided into lines; each line consists of zero or more characters followed by a newline character. The declaration may be an explicit extern statement or may be implicit from context.If the definition of the external variable occurs in the source file before its use in a particular function, then there is no need for an extern declaration in the function.Otherwise it is needed. Whether plain chars are signed or unsigned is machine-dependent, but printable characters are always positive. A long constant is written with a terminal l (ell) or L.Unsigned constants are written with a terminal u or U, and the suffix ul or UL indicates unsigned long. Octal and hexadecimal constants may also be followed by L to make them long and U to make them unsigned: 0XFUL is an unsigned long constant with value 15 decimal. an arbitrary byte-sized bit pattern can be specified by '\ooo' where ooo is one to three octal digits (0...7) or by '\xhh' where hh is one or more hexadecimal digits (0...9, a...f, A...F). "hello, " "world" is equivalent to "hello, world"
If the variable in question is not automatic, the initialization is done once only, conceptionally before the program starts executing, and the initializer must be a constant expression. External and static variables are initialized to zero by default. Automatic variables for which is no explicit initializer have undefined (i.e., garbage) values. The % operator cannot be applied to a float or double. -1L > 1UL because -1L is promoted to unsigned long and thus appears to be a large positive number. -1L < 1U, because 1U, which is an unsigned int, is promoted to a signed long. The increment and decrement operators can only be applied to variables; applying to an expression is illegal. Right shifting an unsigned quantity always fits the vacated bits with zero. Right shifting a signed quantity will fill with bit signs (``arithmetic shift'') on some machines and with 0-bits (``logical shift'') on others.